Industrial processes require control systems for the different products involved. These processes vary greatly and cover a wide range of products, from the petrol industry, ceramic tile industry and power stations through to the iron and steel industry, thermal treatment plants, paper mills and the textile industry. In all of these processes, it is essential to control and supervise different factors such as pressure, flow rates, levels, temperature, pH, conductivity, velocity, humidity or dew point. 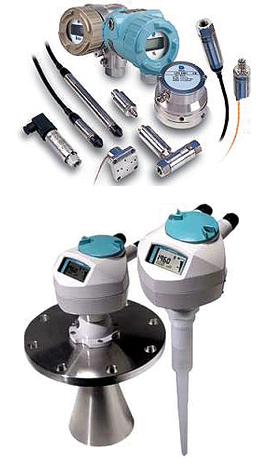 Measurement and control instruments make it possible to maintain and adjust these factors to the ideal levels, with an accuracy that cannot be achieved by operators alone. For all of these reasons, it is essential that all of this equipment is perfectly adjusted BY CARRYING OUT PREDICTIVE AND CORRECTIVE MAINTENANCE ON IT. Used to measure, convert, transmit, control or record different variables involved in a process, in order to optimise the different resources that are used. The variables to be measured or controlled may be physical (flow, pressure, temperature, velocity, weight, humidity and dew point) or chemical (pH, electrical conductivity and redox). These elements are used on a widespread basis in industry, and require specific installation, calibration and maintenance processes.